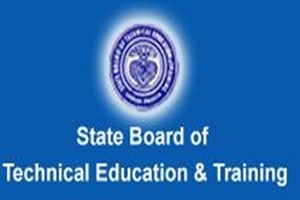 Sub: SBTET- Diploma Examination, Mar/April 2019 – change of examination date – as per the instructions of Election Commission – regarding. Kind attention is invited to the subject and reference cited above. The Department of Higher Education, A.P., has directed that all the Education Departments to reschedule the exams if any scheduled during 9th to 12th April and 22nd to 24th May 2019, to avoid clash with the Election Schedule. In view of the above the examination scheduled to be held on 09/04/2019 is postponed to 25/04/2019. Hence all the Principals are requested to display the same in the student notice boards and other prominent places in the institution to reach the information to all the students. The Principals are also requested to give wide publicity among all the staff and students.